Geraldos Coverage of The Joran Van Der Sloot Investigation of the murder of Stephany Flores Ramirez in Peru featuring Mark Fuhrman. Joel Brodsky, Drew Peterson attorney, updates recent developments. Jossy Mansur, from Aruba, discusses recent arrest of Joran Van Der Sloot. Blink, from blinkoncrime.com discusses the Stacy Peterson and Joran Van DerSloot cases. 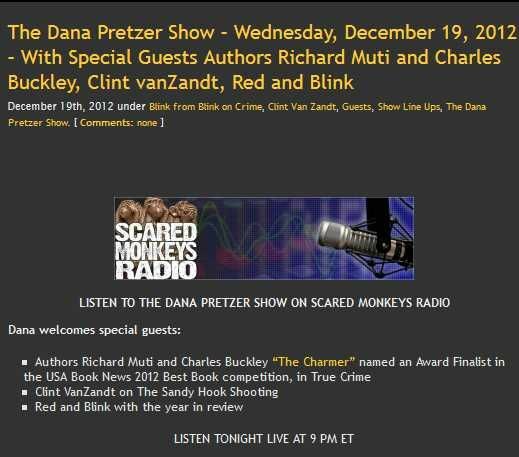 Clint Van Zandt, Former FBI profiler (r) author and safety expert discusses the Peterson and Van Der Sloot Cases. RED, Editor In Chief, Scared Monkeys.com, Scaredmonkeysradio.com discusses Peterson and Van Der Sloot cases. Robin Sax, NBC analyst and Former LA prosecutor discusses Peterson, Van Der Sloot cases and the search for John Mark Karr. 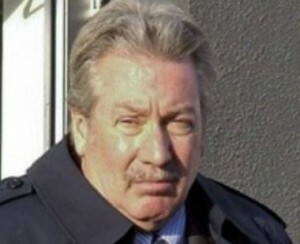 Peoria, IL– A cellmate of Drew Peterson’s believes his cellie had an accomplice in the disposal of his wife’s remains, and that accomplice is talking to police. Peterson, in prison awaiting trial for the murder of wife no. 3, Kathleen Savio, reportedly told his bunk buddy the identity of the individual who helped him bury Stacy Peterson, according to TMZ. Will County Sheriff’s Office then approached the alleged accomplice, who in turn led them to private hunting grounds just outside of Metamora, Illinois. With the landowner’s permission, Cadaver k9’s were used to confirm the possible burial site, which immediately led police to the exact location of what is alleged to be that of the remains of Stacy Peterson, inside an enclosed metal drum. Further confirmation, possibly through the use of ground penetrating radar, (GPR) indicated their is a large container consistent with the witness account, within the soil. The Illinois State Police was dispatched to guard the property overnight, and crews will begin digging this morning. Will County Sheriffs Office has a forensic recovery team onsite today, please check back to blinkoncrime.com for any developments in this case. Indiana– Last Wednesday, attorney for Texas Equusearch, Mark Nejame, released a few aerial images that in their opinion prove that the area where 34 month old Caylee Marie Anthony was under water at the time of the last search. Today, in newly released discovery by the State’s Attorney’s Office, we see the aerial imagery expert responsible for that footage makes the witness list for the prosecution. Sean Henady, tapped personally by TES founder Tim Miller, spoke exclusively today to blinkoncrime. This will be his only statement regarding the Caylee Anthony case until it’s conclusion. In August and again in November of 2008, my services were requested by Texas Equusearch for aerial mapping in their efforts to locate missing toddler Caylee Anthony. In November only, my participation expanded to asissting with coordination of the search effort on the ground. Henady, together with 12 year missing persons veteran and former director of Missing and Exploited Childrens program Mandy Albritton, recently co-founded 3 View Search Services. 3 View, a non profit organization, is a premier law enforcement support vehicle to provide resources and assets to emergency services teams and to facilitate search and recovery efforts. Currently, 3VSS resources are only available at the request of the law enforcement agencies with jurisdiction in a missing persons case. 3VSS is chaired by former Congressman Nick Lampson, founder of The Missing and Exploited Childrens caucus in Washington, DC. Leonard “Len” Wilson is the organizations Chief Executive Officer. In 2005, missing Indianna man Charles Ricky was located exclusively by Henady’s aerial images taken over a quarry he was ultimately recovered in. Channahon, Ill– Sadly, neither the Peterson or Stebic families will be receiving the much needed closure by the discovery of their loved one’s remains. The remains pulled from the banks of the Des Plaines River by the Big Basin Marina, are that of an as yet unidentified male. Illinois State Police are witholding his identity based on notification of family. Channahan, Ill– A caucasion, badly decomposed body of a woman has been recovered from the DesPlaines River, near Channahan, Ill this afternoon. 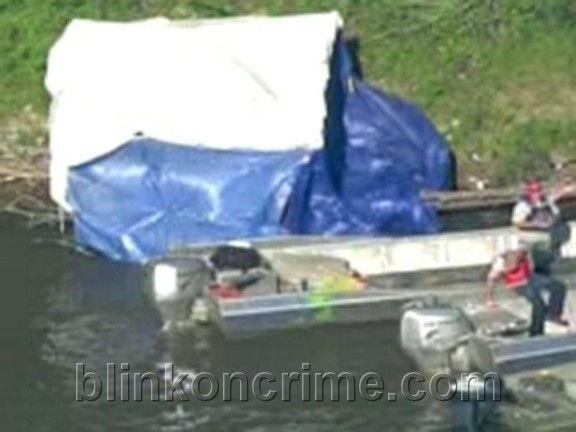 Police discovered the body near the Big Basin Marina, near I55. CSI recovery teams and State Police detectives have set up command on the riverbank and remain there this evening. This location has been the subject of earlier searches for missing women Lisa Stebic and the Stacy Peterson, the wife of recently charged murder suspect Drew Peterson. 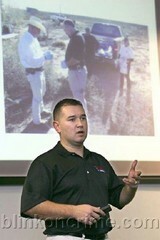 Stay tuned to blinkoncrime.com for details on this developing story.